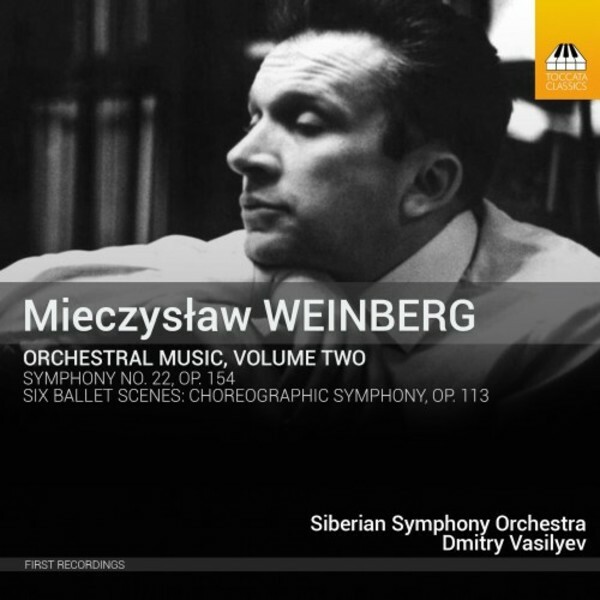 Mieczysław Weinberg, born in Warsaw in 1919, became a close friend of Shostakovich in Moscow, after fleeing eastwards ahead of the invading Nazis in 1939. His style has much in common with Shostakovich�s: fluent contrapuntal skill, a keen feeling for melody, often inflected with Jewish cantilena, and an acute sense of drama. This recording pairs a mature orchestral work, the Six Ballet Scenes, Op.113 (1973), to which Weinberg gave the subtitle 'Choreographic Symphony', with the last symphony he composed, No.22, leaving it in a piano score which has been orchestrated by Kirill Umansky. Both works receive their first recordings here. Dmitry Vasiliev was born in 1972 in the city of Bolshoi Kamen, Russia. He graduated from the Rostov State Conservatoire and then took a post-graduate course under the guidance of Alexander Skulsky at the Nizhny Novgorod State Conservatoire. He has since been active all over Russia. Since 2005 he has been principal conductor of the Siberian Symphony Orchestra in Omsk. The Siberian Symphony Orchestra is a regular recording partner of Toccata Classics - this is their fourth recording on the label.